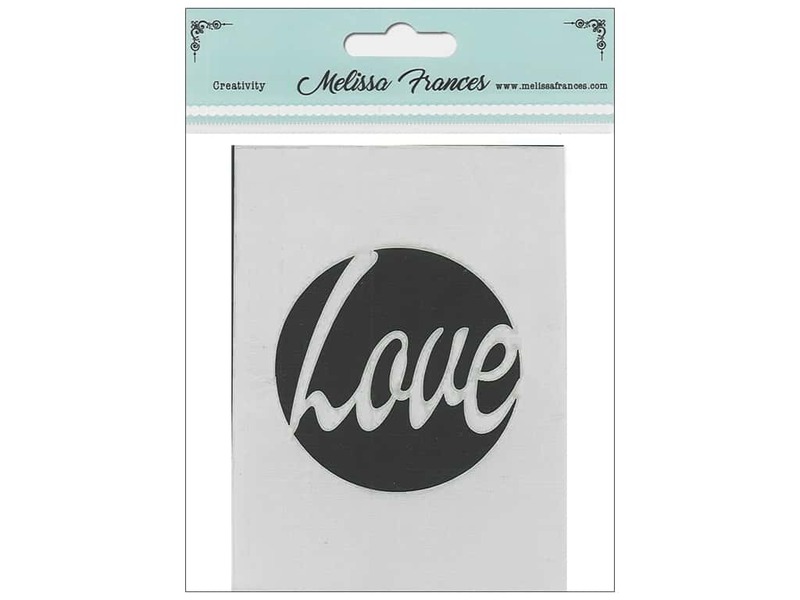 Description: Melissa Frances Stencils are durable stencils made from 10 mm mylar, and perfect for multi media use. Stencil design is a circle with the caption "Love" inside. Stencil sheet measures 3 x 4 inch. See more Melissa Frances Stencils.